Stay ahead of the game with essential oils for first aid. When SHTF, you’ll want a stocked first aid kit because you may not be able to go to pharmacies anymore. A first aid kit complete with essential oils may save your life in an emergency. Not sure what essential oils do or what the best essential oils for first aid are? This infographic should help you find out. Essential oils are chemical compounds with aromatic properties found in the seeds, roots, stems, bark, flowers and other parts of plants. For centuries, there are many stories of healing properties of these precious oils. Essential oils are extracted out of plants in many different ways. For example, rose oil was extracted by massaging leaves with animal fat. A lot of essential oils, like Lemon and Orange, are cold pressed. The vast majority of oils from plants are steam distilled at a certain temperature and a specific pressure. The most therapeutic oils with optimum benefits are taken after the first distillation. Essential oils are 50-70 times more powerful than herbs so imagine how effective they can be in your first aid kit. Caution: Ensure that you are only buying the best quality of essential oils. Lesser quality essential oils may express they are 100%, yet that doesn’t really mean they are really 100% pure without any fillers. As a matter of fact, the industry standard for essential oil is only 3%. Every time I purchase essential oils, I look for a brand that has third party testers to ensure its quality. This kind of quality is especially significant if the essentials oils are used on children, newborn, during pregnancy, with the elderly and if we need to take it internally. image via naturallivingideas – Click to Shop! Lavender is considered the universal oil. It is known to help reduce stress and to calm. It sterilizes wounds and burns, promotes fast healing and can help reduce scarring. Prevent irritation and inflammation from insect bites, sunburns or even bee stings with this oil’s soothing, antihistamine compounds. image via jipambe – Click to Shop! Use lemon for a great disinfectant. It is great for cleansing and also to boost mood. A little lemon in water helps prevent flu or cold symptoms. Lemon helps promote a healthy liver and digestive system, and also helps lessen petrochemicals in the body. It is not advisable to use lemon, or any other citrus oils, on the skin if you are planning to get some sun exposure. Lemon is also great for disinfecting and cleaning objects. Thus, they are commonly found in commercial cleaning agents. image via jujuaroma – Click to Shop! Peppermint, similar to lemon, promotes healthy digestion and helps soothe nausea. Likewise, it helps prevent pains and aches in the muscles, headaches and fevers, and may even reduce menstrual cramps (read more about period problems here). This strong oil may also perk you up, clear mental fog and increase concentration. image via organiclifestylemagazine – Click to Shop! Tea Tree, also known as Melaleuca, is the oil that has been used throughout history because of its amazing anti-bacterial, fungal and viral properties. It is perfect for soothing and healing. Use it in homemade “Neosporin,” to help disinfect skin irritations. It helps relieve discomfort from slivers. Try using this oil to help support the immune and respiratory systems, too. image via newhealthadvisor – Click to Shop! Oregano aides in your natural immune system support. 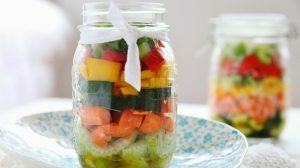 It can help boost a healthy immune system by battling off cold and flu symptoms, while also aiding against yeast and bacterial infections and inflammation. Oregano may also help with gastrointestinal issues. image via thetruthaboutcancer – Click to Shop! Use myrrh to help with infections, and it acts as a pain reliever. It’s helpful for cuts, bruises and swelling. It supports good blood circulation and tissue regeneration. Myrrh is an astringent. Use it for antibacterial and pain relief. Helichrysum, like Lavender, is an emergency treatment essential oil must have! It’s perfect for swelling and bruising, and it is generally utilized as a painkiller because of its pain relieving properties when used as a part of a cool pack. It might help to mend wounds, sprains and swelling. Utilize lemongrass with Citronella as a bug repellent. It is also helpful in soothing cramps and sore muscles. Lemongrass essential oil functions well as a natural cleansing agent, and it also helps keep your feet warm during winter. That’s why I keep this in my homestead, it works for us and my husband loves it. 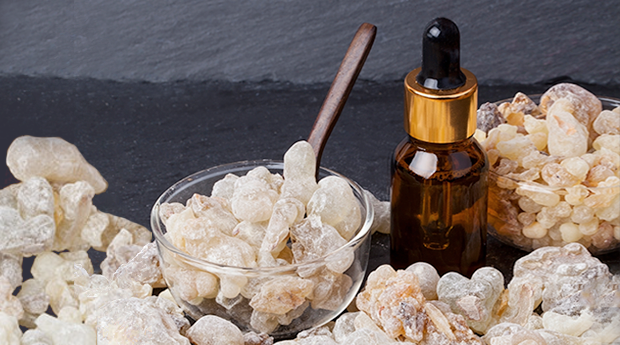 Frankincense is perfect for inflammation and more. It enhances the effects of other oils, lessens inflammation, supports skin tissue regeneration and may even relieve headaches. Use it for skin ailments, too. Frankincense also relieves restlessness, like Peppermint. image via essentialoilsanctuary – Click to Shop! Essential oils are used for almost any kind of pain that we might encounter. Of course, I’m not a doctor, I’m a homesteader living on my means– exploring and educating myself to be a healer on my homestead. You’ve got nothing to lose trying out these essential oils. So, give them a shot, and check what changes occur in your health. Learn to use them with confidence before an emergency occurs. Looking for a trusted marketplace with essential oils that have been tested for maximum quality and purity? Our friends at Amrita Aromatherapy have you covered. DISCLAIMER – these are simply suggestions based on curated sources. We do not promise healing, simply suggested ease of ailment. Please seek a professional physician if pain or problem is severe. What do you think of this list of essential oils? Do you think you’ll be giving it a try or suggest it to someone? Let me know in the comments section what your thoughts are on this amazing list. Are you fond of using mother nature’s remedies? If you are, you’ll be glad to check out Mother Nature’s Best Home Remedies! Brag about your homesteading lifestyle with “I Play In Dirt” FREE shirt here. What do you suggest for chronic pain? Ive had 4 back surgeries & am trying to figure out a way to survive when the SHTF and the docs & pharmacys are no more. Their list has a lot of the same oils that Riley listed above. I will say Im curious to see what Riley thinks as I’m just trying to help spread some info. I’ve really gotten into essential oils since the election. I want my kids to have some sort of healthcare if the SHTF.